markets work for the poor but they do not always reach the most vulnerable groups and can sometimes harm local businesses. The latest ‘provocation’ seminar from IIED and Hivos, held in Paris last week (30 March), began by asking who are the contents and discontents of development approaches to make markets work for the poor. According to one businessman at least it seems that nongovernmental organisations (NGOs) can foster both, particularly within the private sector. Speaking at the seminar, which was hosted by the Netherlands Development Organisation (SNV) and the Institut de Recherches et d’Applications des Méthodes de développement (IRAM), van Oudenhoven said that international NGOs often have their own agenda, and are more interested in showing results that curry favour in their own countries — “we are helping poor farmers” — than in making a broader impact in alleviating poverty in the local economy. He gave an impassioned account of his own experience in Nicaragua of trying to make markets work for the poor in collaboration with an NGO. After sharing plans for a purchasing scheme to stimulate the production of quality cacao and doing much of the leg-work to find an investor, negotiate prices with cooperatives and train local farmers, van Oudenhoven’s efforts were thwarted by the very NGO that was meant to help him. The consequence was that his own chances of exporting cacao were “totally ruined”, as were those of other local traders. 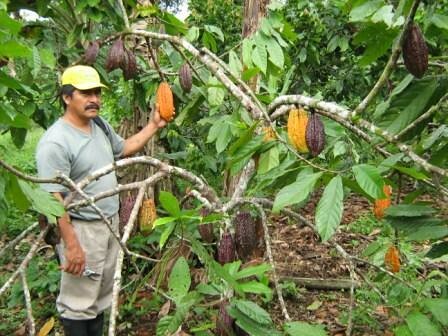 It’s true that many of the cacao farmers were happy: they had higher prices for their produce and the security of a long-term multinational customer with higher purchasing power. And, in all fairness, the NGO most probably had good intentions — to maximise profits for local growers. But the problem, said van Oudenhoven, is that there is now a long-term link that excludes lots of other potential small and medium-sized companies from developing in the local economy. Some of the other participants at the seminar told similar tales of NGO initiatives that have done harm, and not just to business. The exclusion — particularly of the most vulnerable groups such as indigenous people or women — from projects is a common criticism of NGO initiatives to make markets work for the poor. Roger Blein, from Bureau Issala in France suggested that it was a particular problem for initiatives targeted at high value-added products such as sesame or shea butter, which only impact a very small number of producers. IIED researcher Lila Buckley spoke about working with a Chinese NGO to build market chains and support development among smallholder producers in China. She said that much of their analysis was positive, focusing on, for example, the impacts of farmer cooperatives or the higher number of farmers who could send their children to college as a result of the project. “But if you peel that back one layer, we found also that there was incredible inequalities that came out of those successes—not everyone benefited equally…and some people were excluded from the project,” she said. Many of these problems arise because we tend to focus on the successes, which doesn’t leave much room for discussion, learning and responsiveness to what the needs are on the ground, said Buckley. But if NGOs can do real harm, they can also be real a force for good, as van Oudenhoven himself admitted. They can be very effective at pushing for change in laws and business laws, he said. Finding the right path is precisely what these provocations are for: for us to learn how to do things better.